The Minister for Transport, Pascal O'Donohue, has reiterated the governments commitment to completing the Dublin Galway greenway. Speaking to the Shannonside newsroom, Minister O'Donohue said that he recognises that there was disappointment in Roscommon, where there was major landowner support, when funding was reallocated to the Kildare and Meath sections. But the minister says that getting full support for the landowners along the route is very important and that the government will continue to seek consensus over the coming years. In October it was announced that funding which had been in place for the final part of the Dublin to Galway cycleway was being diverted to Kildare and Meath, because of difficulties with landowners. From west of the Shannon, the cycleway passes through private farmland, and local farmers are concerned about the potential impacts in terms of loss of land, disruption of farming operations, and security issues. An IFA backed campaign against the greenway forced the government to pause the project west of the Shannon. The farmers have suggested routing to greenway onto busy national roads and say that the only solution is to run the greenway along the old N6. Cycling groups have raised major concerns to this option and research by Tourism Ireland claims that cycling tourists will not use a cycleway that is on a busy road. Kildare County Council have opened a public consultation on their plans for the Royal Canal Greenway Maynooth to Dublin County Boundary. This section will form part of the Dublin Galway Greenway. 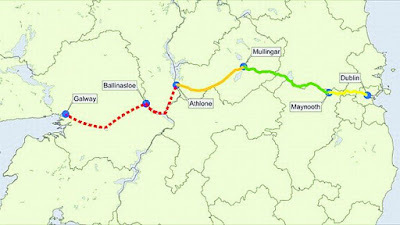 Planning is already in place for the western section between Maynooth and the Meath border and work is due to start next year. 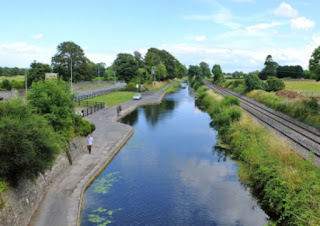 Kildare County Council proposes to construct a 8.4km pedestrian and cycle greenway facility along the Royal Canal towpath from the Canal Harbour, Maynooth to the Kildare/Dublin County border in Allenswood. The proposed development will provide a 3m wide cycleway and shared footway (greenway) for pedestrian and cyclist use with the provision of access controls (pedestrian/cycle friendly gates), road markings and associated signage at various locations over the length of the proposed greenway. A number of bridges along the route will be sensitively considered in the development. 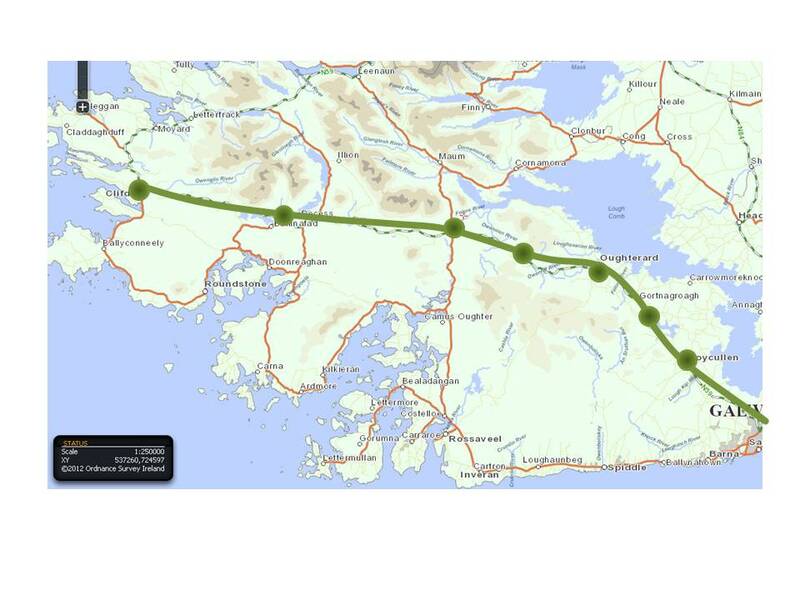 Landowners in parts of Connemara, Moycullen, Rosscahill and Oughterard have raised their concerns over the proposed Galway to Oughterard Greenway Route saying that there has been almost no discussion process in connection to the proposed cycleway. The greenway, if built, would permit cyclists to cycle along a devoted cycling way from Galway City to Oughterard, something that local people welcome but are concerned as they say most of it is being directed through private property. Some portion of the greenway would run along a section of old railroad line and landowners said this is currently private property which they legitimately own. The much of the route was formerly the Galway Clifden railway lane which is closed since 1935 and was bought back by the landowners. This demonstrates the need for the state to protect other public rights of ways for future uses rather than letting encroachments into these lands. According to the Galway Independent farmers along the route say that the greenway will cut off farms, see houses demolished and impact on access to homes and landowners. As with the Dublin Galway greenway they also say there has been little or no consultation with them by either Galway County Council or the Minister for the Environment. 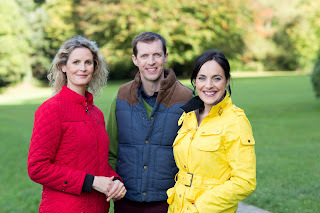 Tonight's RTE's Ear to the Ground programme will examine both sides of the Dublin Galway Greenway debate. The shows presenters Helen Carroll, Darragh McCullough and Ella McSweeney will talk to farmers and others about the Dublin Galway greenway. In October, funding for the Galway/Roscommon section of the Dublin Galway greenway was diverted to the Kildare and Meath sections of the international standard cycleway. The Kildare and Meath sections already have planning permission in place and are broadly supported by the local communities. Completing the section of cycleway in Kildare and Meath will connect the recently developed cycleways in Westmeath and Longford to the capital and is expected to bring a boom in tourism to the midlands region over the coming years. 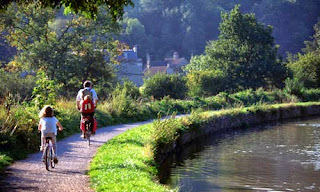 Already local communities are seeing the benefits of these cycleways and are using them in their droves. 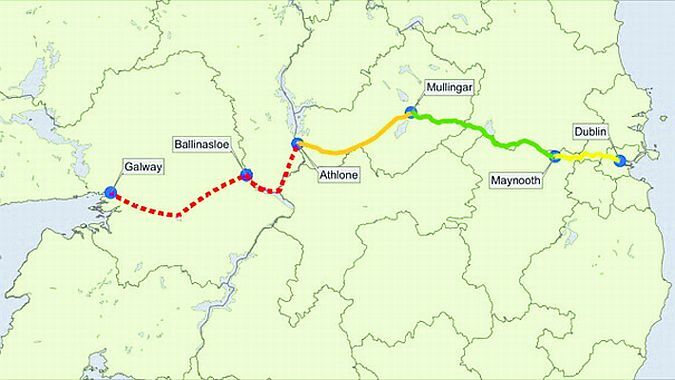 There are now calls from local communities in Roscommon for the Minister to reconsider his decision to pause the project in Roscommon and have called for Ballinasloe to be connected to the network. 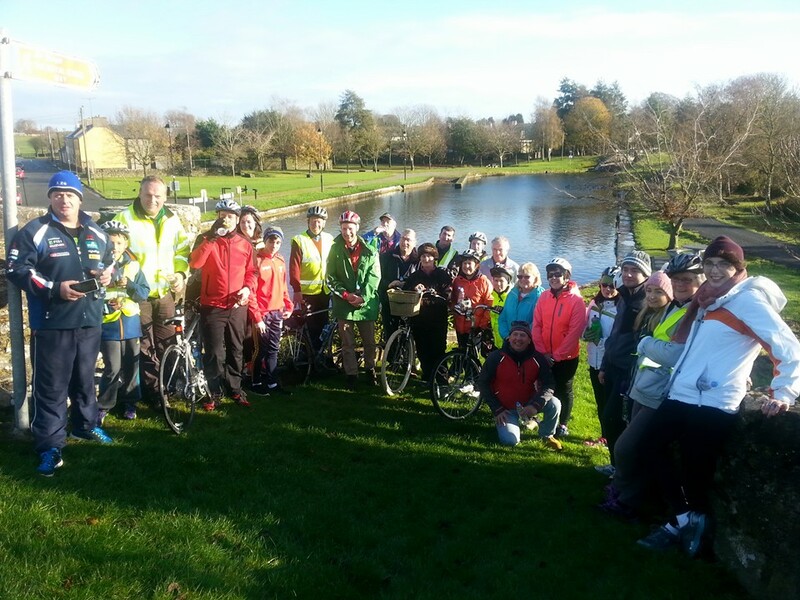 A fundraiser organised by the Abbeyshrule Tidy Towns on Sunday 22nd November, 2015 was an ideal opportunity to celebrate the opening of the latest extension of the Royal Canal Greenway. The event was the first opportunity to appropriately baptise the route since it was fully completed into Abbeyshrule the week before. Longford County Council funded this extension and the works were carried out by Waterways Ireland. The event was a fundraiser for the Abbeyshrule Tidy Town Group who do great work in the village and are a former National Winner and Entente Florale winner in 2012. 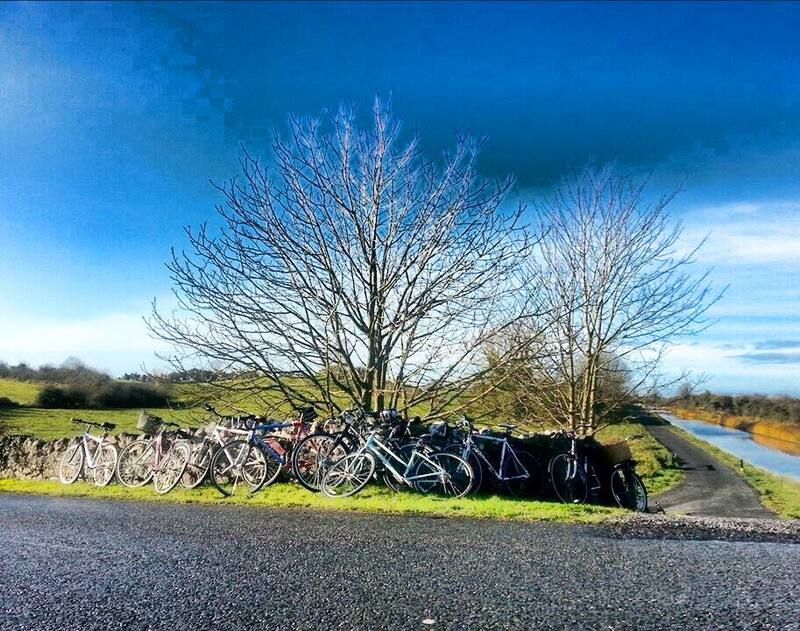 The group of about 40 cyclists met at 11 am Sunday morning and headed east to Ballincarrigy and returned. People came from Westmeath and Galway to participate. Everyone was on a high from the cycle. The cyclist finished up in the Rustic Inn, Abbeyshrule for soup and a roll. It is hoped that this will be an annual event from now on. Donall Mac An Bheatha from Longford County Council said the event was "a beautiful morning of bright sunshine and the Canal and Bogs either side looked fantastic. It was a fantastic morning’s cycling with a few new cyclists rediscovering the joys of cycling. 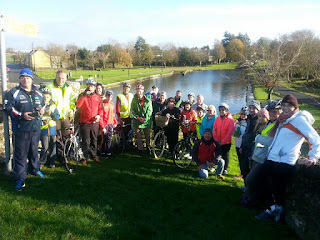 I told the group that next year we would be cycling to Ballymahon along the then newly completed Cycle Way (Nov. 2016)"